Training course now covers the new Supplement Facts panel regulations! 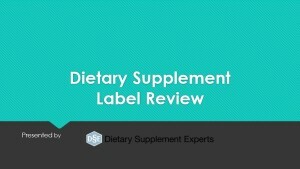 Involved in the creation or review of dietary supplement labels? If you or your employees are involved in the creation or review of dietary supplement labels, in-depth training can help increase your confidence that your product labels are compliant with the regulations. Our online training course offers comprehensive training that can be done at your convenience from your office or home, without the travel expenses of on-location courses. Learn how to review and edit for FDA and State regulatory compliance. 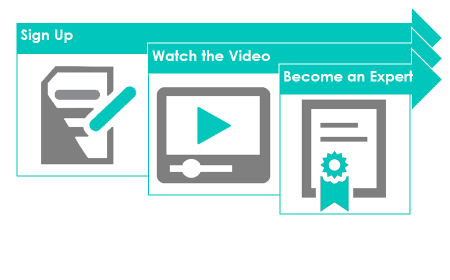 Receive a certificate for training documentation. Regulators, third-party auditors, employers, and clients are demanding training, as well as documentation of training. Taking the training course in dietary supplement labels from the comfort and convenience from your office or home has many benefits. Not only will you be able to complete it at your own pace and have the ability to play back portions as needed, you will save the money and time required by on-location classes. Protect your company, your clients, and your reputation with periodic training in the area of dietary supplement label compliance. Includes one Certificate of Completion. Curtis Walcker, M.S. is a dietary supplement industry professional with 17 years of experience; 11 of which that have involved positions dealing with the technical aspects of scientific and regulatory affairs. He currently serves as the VP of Regulatory Affairs & Quality for a major dietary supplement company, and is a label compliance consultant for a number of high-profile companies. Curtis holds a Master of Science degree in Nutrition, as well as undergraduate degrees in Health Science and Biology.